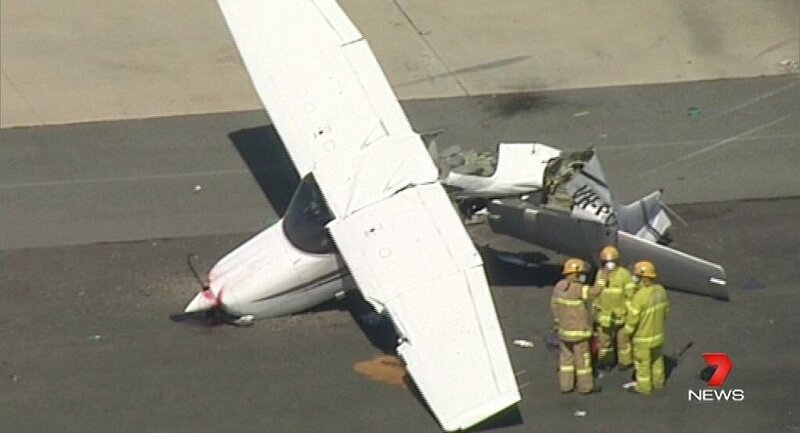 A light plane carrying four people including a child crashed in South-Eastern Australia. The incident occurred on Sunday at the private Tooradin Airfield located some 60 kilometers from Melbourne. Five firefighting crews and police that were sent to the site found out that the aircraft crashed after it had clipped several other planes while landing. “It was pretty windy as the plane was moving about – it was gusty – and it was cartwheeling onto the other two planes, damaged two there and one was completely smashed,” eyewitness Kylie Lawson said. Miraculously, a five-year-old girl, two men in their 50s and 30s as wells as a woman in her 30s avoided any life-threatening injuries. They were hospitalized. — Julian Price (@julianprice_) 20 марта 2016 г. — URGENT NEWS (@UrgentNews911) 20 марта 2016 г.